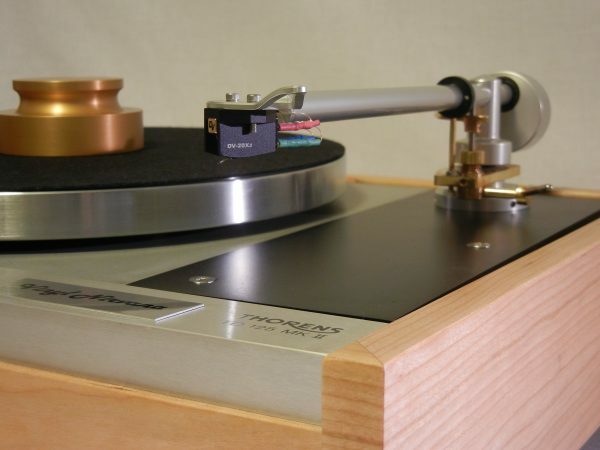 Thanks for looking at and reading about this gorgeous Thorens TD-125 MKII. Though I love the TD 160 line, there is something about the substantialness of the 125 series that excites me. 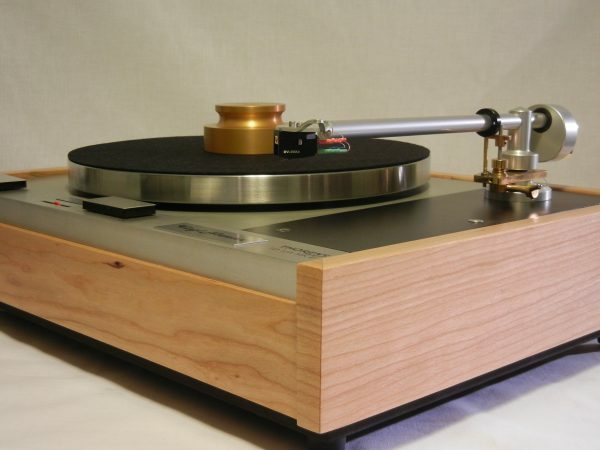 I would rate this particular turntable an 9.0/10.0. The custom solid cherry plinth was crafted by a finish carpenter/cabinet maker with over thirty years of experience. It was finished in mulitiple coats of Tung oil finish. 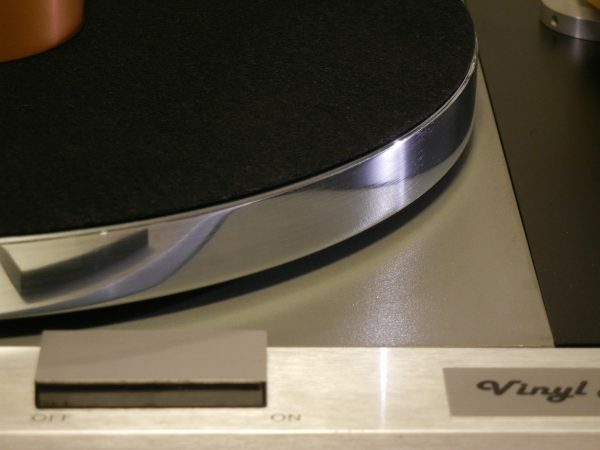 The custom plinth is substantially more dense and heavy than the stock plinth. 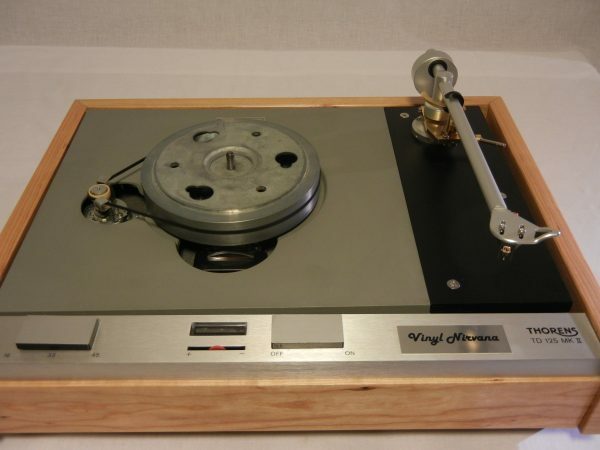 Please note the photo with the repair area behind the platter. The metal top is in very good to excellent condition with no significant cosmetic issues. The brushed aluminum faceplate is in very good to excellent condition as well. The arm board is new. The gold finished Bren weight is included, however, not the dust cover. It is available for $165 plus shipping. (Must be boxed separately.) There is also the option of a mirror-polished platter for $95. 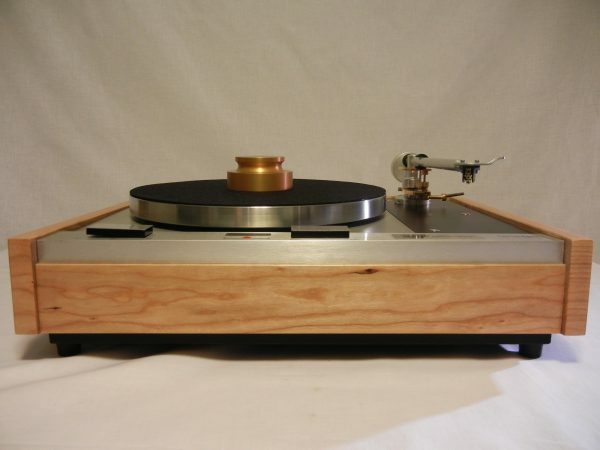 The Blue Note U3 is an Italian made medium mass arm. 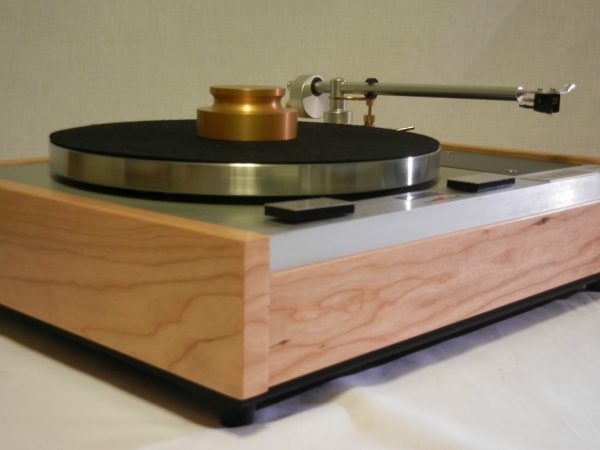 It features hydraulic arm lift, Hyper Litz 36 AWG internal wiring, and high quality interconnect cable with gold plated DIN and RCA plugs. The polished aluminium counterweight is decoupled from the arm tube and it is positioned out of axis to stay under the arm tube line increasing stability and to adjust the anti-skating force and azimuth simultaneously. The arm tube is a unique piece of polished and hard aluminium alloy to guarantee structural rigidity at its best. The Pivot is inverted stainless steel. 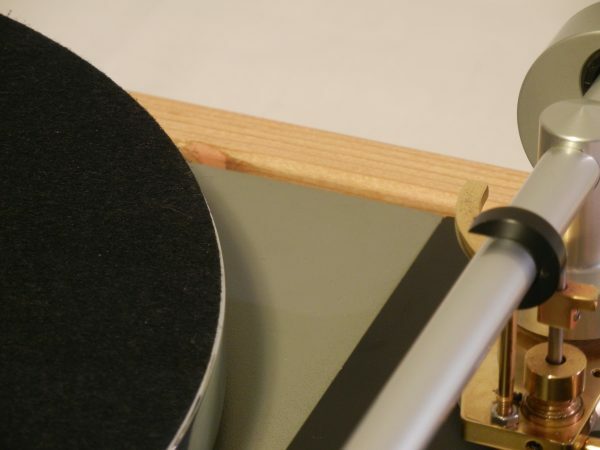 I obtained this particular arm in a trade with a fastidious audiophile moving up to a 12″ arm. Though used, it appears very close to new and comes with the original box/packing. (Not shown) It retailed for $595. Though I’d admired the Blue Note for years, this is the first time holding and listening to one. The fit and finish are exceptional, and my extensive listening with the Dynavector 20X2H in the pictures proved it to be an INCREDIBLE value at that price. Small knot on edge was repaired with wood filler. This is behind the platter. Dust cover can be added for $115. New acrylic, set on style. The gold accents along with the cherry make this one of the most stunning units I have offered.